Pinot Grigio: Can Science Defend Snobbery? Do you think pinot gris is boring? Or maybe I should ask: do you think pinot grigio is boring? Same grape, different languages, but, more importantly, different styles. Beyond Alsace, pinot gris is grown widely in Oregon – where recent marketing moves have been made to elevate it to the state’s flagship white – and New Zealand, and in smaller quantities all over. Australia and California are bilingual: Pinot Gris and Pinot Grigio both make label appearances. Growing up around the smallish, sometimes idiosyncratic wineries of Oregon’s Willamette Valley, I was pretty happy with Pinot Gris. Since Oregon Pinot Gris isn’t Italian Pinot Grigio, I can even say so in public. Pinot Grigio is, after all, second or third on the list of pours wine writers love to hate, after White Zinfandel and maybe Moscato. Even Oregonian bottlings – same grape, different name – can sometimes be a bit… lacking in oomph. I don’t mean that they’re not big, powerful wines – that’s rarely what I’m looking for from anything with “Pinot” in the name. Lacking in character, though, or lacking whatever you’d like to call that thing that makes you want to drink this wine now. But I’m not here to grigio bash on the basis of pure elitism. I want to know whether chemistry can offer us any respectable, data-supported reason to dismiss the stuff. First, Pinot Gris or Pinot Grigio? In the absence of international label regulation by the Powers that Be, it depends on who you ask whether the names are interchangeable. The private definition I use inside my head is that if I like it, it’s Pinot Gris, and if I don’t, it’s Pinot Grigio, but that’s not exactly helpful. Also not helpful is the Australian Wine Research Institute (AWRI) “Pinot G” to refer inclusively (and rather cheekily) to refer to both in one undifferentiated swoop because, according to their sensory scientists, a real stylistic difference does separate the two. The sensory panels’ choice of descriptors is interesting. The hallmark “Grigio” notes could be thrown at nearly any white grape variety and stick. 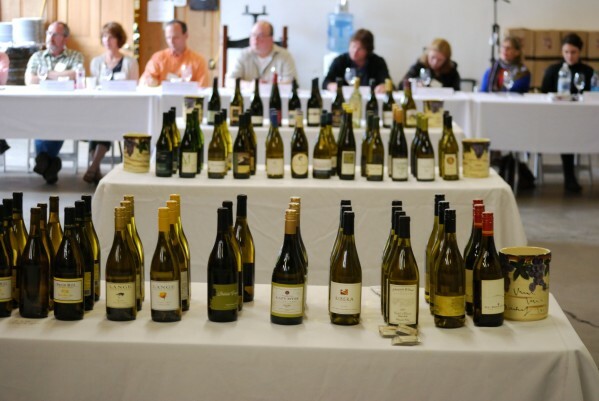 In the absence of the Big Data solution – a massive searchable database of tasting notes I can query for specific descriptors would be nice – an informal Google exercise found the same collection of fruits applied in service of California and Chilean Chardonnays, French Picpoul de Pinet, a white Côtes-du-Rhône, Australian Semillon…and Pinot Grigio. Now, we could take that to indicate that a lot of tasting notes are generic, unhelpful, and poorly written, an assertion I have no problem supporting. 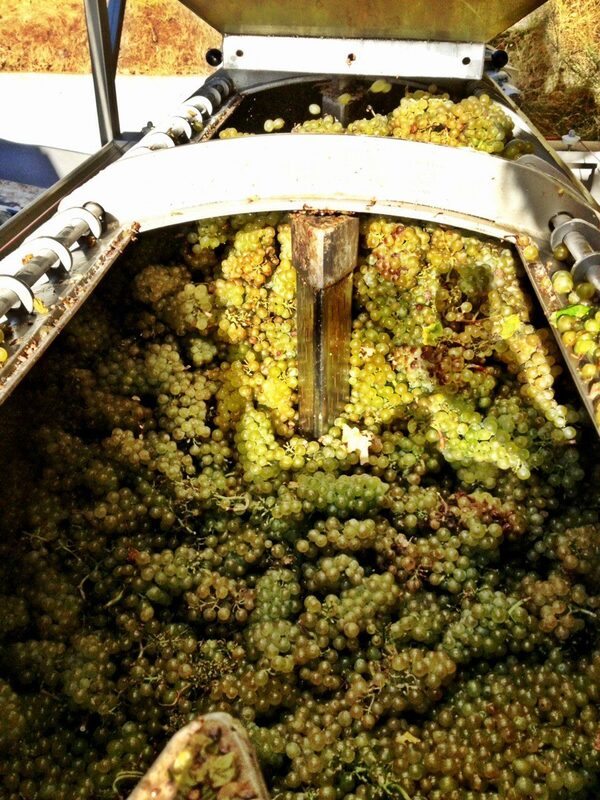 But we can also hazard a guess that the key fruits in a lot of white wine aromas are pretty similar. So what makes a white wine not boring? Aroma, texture, or both. Some white wine varieties have grab-me-by-the-nose aromas; those that do are often defined by them. Red wine aromas are complicated with lots of molecules synergizing to create the overall impression; a recent batch of sensory chemists needed 44 molecules to come up with a smell resembling (“wine-like” was the term) an Australian Shiraz. Pulling out and combining just the several main compounds in the mix won’t yield anything like the same impression the total wine gives. But whites, mostly lacking in the extroverted, skin-derived stuff that makes a red wine, can be dominated by a small handful of key molecules with obvious aromatic signatures. Maybe pinot gris/grigio is just a lackluster grape lacking in such punchy sapid molecules and therefore missing out on having a memorable signature. Chemical analyses suggest that’s true. It’s almost completely lacking in thiols, sulfur-containing compounds that stand out in sauvignon blanc, muscats, gewürztraminer, or petit manseng – 4-mercapto-4-methylpentan-2-one and 3-mercaptohexyl acetate (which smell like box tree) or a handful of various mercaptohexanols (with grapefruity-passionfruity or citrus zesty aromas) for example. Pinot Gris/Grigio isn’t alone in that generically aromatic boat. Chardonnay, surely, can take on any number of smells from zesty lemon through apple and pear to peach and pineapple. And wines made from both pinot gris (I’m only talking about wines I like here…) and chardonnay can smell just absolutely lovely. But I’m not going to pick a bottle of either one out from the grocery store line-up if I’m looking for something with an aggressively interesting nose. Many Pinot Grigios have functional textures: lots of acidity to wipe the palate clean of the residue from that bite of spaghetti carbonara. Take a high-acid wine that’s also low in sugars, alcohol, and phenols, and “functional” is about all you have left. It doesn’t help that fruity aromas seem to be what dissipate first and fastest on a wine’s finish, compared with floral or creamy notes (it would have been helpful to see how spices stacked up, too, since those are common in whites), leaving most Grigios with a particularly short finish, too. Pinot Grigio is the goes-with-anything-that-works-into-your-Weight-Watchers-diet-at-Olive-Garden wine, and therefore it’s an easy target for aficionados’ public spurning. But it’s one thing to be a wine snob because you like good wine, quite another to be a wine snob because you’re actually a snob and won’t touch anything that you could risk finding at the public art gallery’s wine and cheese opening reception. Even if you’re not in the first camp – and I’d hazard most of you are – you almost surely have moments when you want to put on a good show of it. So don’t despise Pinot Grigio because it’s common. Don’t bother with it because its aroma molecules are generic and its texture absent, and treasure the gris with textures that raise them above the milieu. It’s troublesome when a grape goes by so many names. Which one the producer chooses to put on the bottle is surely rather arbitrary – I’m reminded of Languedoc producers who put “Shiraz” on their syrahs, because they want them to appeal to a UK audience brought up on new world wines. For me, the pinot gris/pinot grigio hypothesis doesn’t hold water, mainly because two of Italy’s top white wine regions both label it grigio – Friuli and Alto Adige. Pinot Grigio can be sublime, rich and satisfying in these regions, but I wouldn’t say high in acidity. And we didn’t even get onto Slovenia’s Sivi Pinot or Germany and Austria’s Grauburgunder. Grigio is much maligned, but I’ve had plenty of boring Pinot Gris too. Couldn’t agree with you more, Simon. I love the idea of words being useful, so I’d like gris vs. grigio to mean something. But in practice, I don’t think the AWRI distinction is helpful when its so clearly not universally practiced as such. I want a universal standard that will help me as a consumer figure out what to expect from a pinot gris/grigio, especially when its made outside of a region with a well-known style. But in some respects that’s a dilemma with wine in general. And how to achieve it without world-wide standards and standardization?